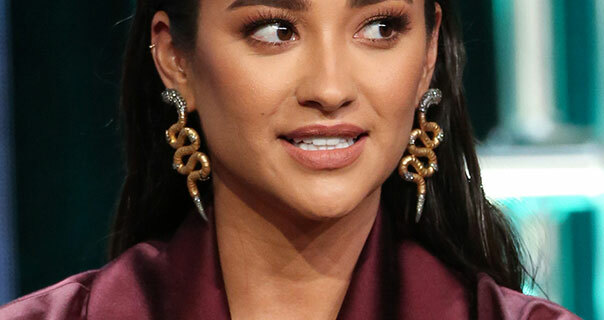 Shay Mitchell pictures and photos from the 2018 Summer TCA Press Tour. Shay wears an oversized silk and satin jacket dress at the event. 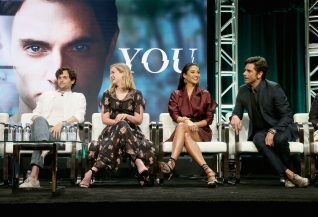 She appears on stage as part of a panel for her television series You.